Welcome to our farm ~ Open Daily 10am - 5pm, 1 January ~ 23 December. All weather fun for all the family ~ come rain or shine! 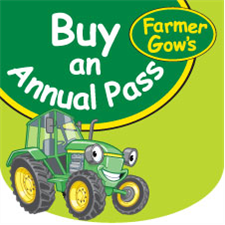 Google maps & sat nav, please use this link and you will be directed to our car park - Farmer Gow's. If you use our postcode you could end up in our neighbour's field! We're just off the A420 (Oxford-Swindon) on the B4508 between Fernham and Longcot villages. Our cosy tea room serves freshly prepared light refreshments throughout the day. Enjoy a great day out in the heart of the Oxfordshire countryside. 'Meet the Animals' every day, please see programme of experiences below. Egg boxing ~ for children. How many eggs are in 1/2 a dozen? Meet the Animals ~ interactive 'hands on' with snuffly pigs, hand fed goats and sheep. Day tickets - 10% off when ordered online - please note that tickets must be ordered at least a day in advance of your intended visit. Annual Passes - 10% off when ordered online. Firewood - order online for our best delivery prices.